Are you tired of Pumpkin Spice yet? Oh no. You can’t be. It’s way too early for that. 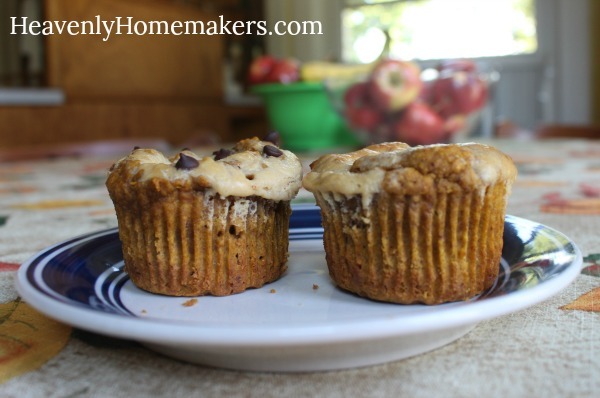 And you haven’t even tried these Pumpkin Cheesecake Muffins yet! I did cringe to see a box of Pumpkin Spice Cheerios at the store the other day. Really now. I think we’ve taken this Pumpkin Spice craze just a little bit too far. 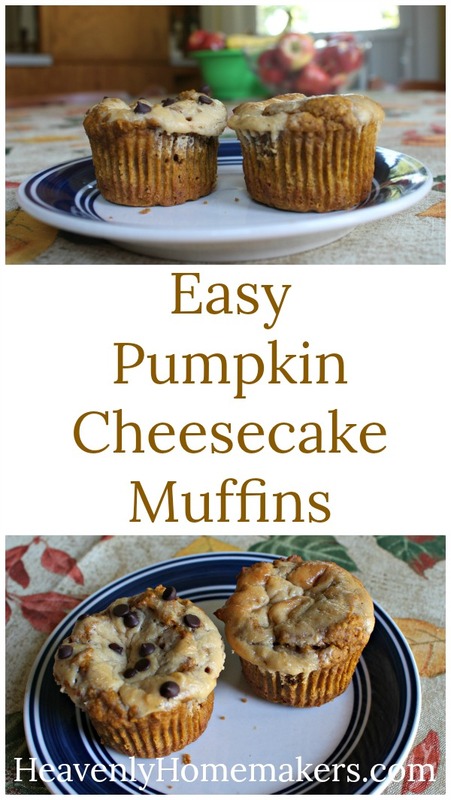 I love pumpkin and the delicious spices of the season. But I think we should leave our Cheerios alone. 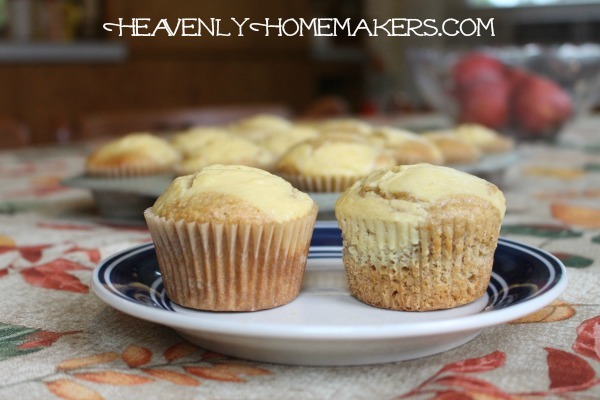 And who needs oddly flavored Cheerios anyway when there are these real Pumpkin Muffins with actual cheesecake topping for our dining pleasure? 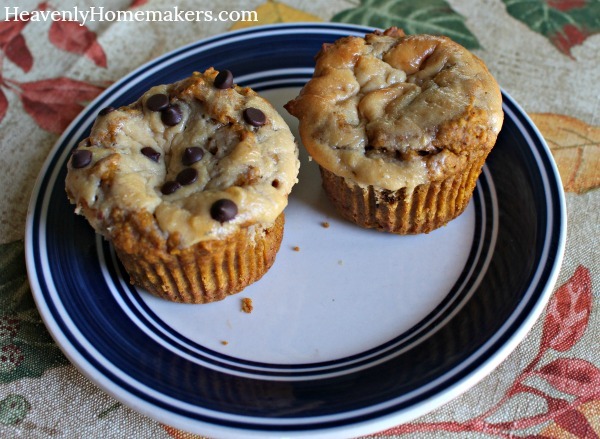 Better yet, if I give you permission to sprinkle mini chocolate chips on top of the muffins if you wish? Well, I think the holiday season just got significantly more merry and bright. Pour a cup of coffee to go with, and a delicate tear will slip out the side of your eye as you recognize that Jesus really is the reason for the season. Add egg, pumpkin puree, and melted butter, stirring until ingredients are combined. 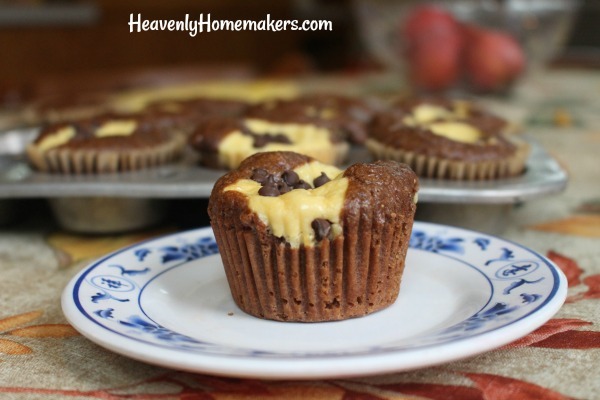 Sprinkle a few mini chocolate chips on each muffin if you like. 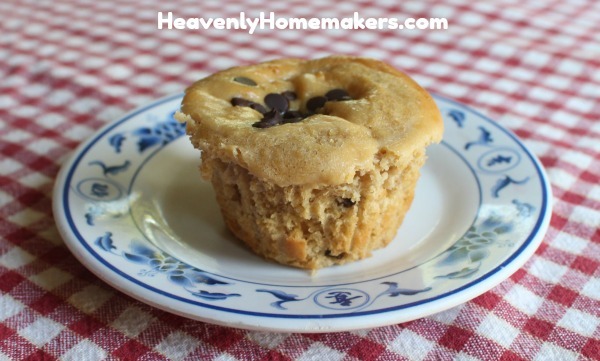 Coming soon: Chocolate Chip Cheesecake Muffins! These recipes prove that there is so much to be thankful for this season, am I right?